Everyone was so worried about Hurricane Hermine this weekend, but we had Plans A, B, and C in place to ensure our couples still had fantastic weddings! Lucky for everyone, Hermine wasn’t much more than a windy blip on the radar, and our couples were able to relax and enjoy it all! Sonja & Michael came all the way from California to host their gorgeous wedding at Brantwyn Estate! 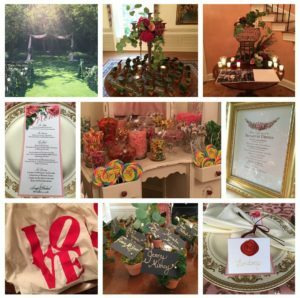 Even though their guest list was small, there was no shortage of thoughtful and unique details to help their attendees enjoy the wedding day! 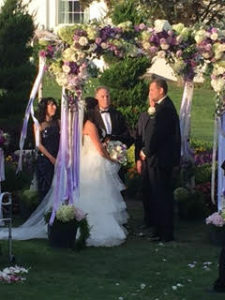 We worked tirelessly beside Sweet Peas of Jennersville, Vintage Affairs, South Jersey Party Rental, Etent, Synergetic Sound and Lighting, Vivace Strings, Aleksandra Ambrozy Hair & Makeup, and the DuPont Wedding Collection, to give this special couple the night of their lives! The beautiful tent was draped in string lights and chandeliers, the tablescapes were romantic and dreamy, and we were thrilled to have Wojtaszek Weddings and Cord 3 Films on-hand to capture it all, thanks to Jeff for the beautiful teaser pic above! Sonja & Michael also arranged for the Delaware Astronomical Society to come out and give their guests a tour of the night sky! 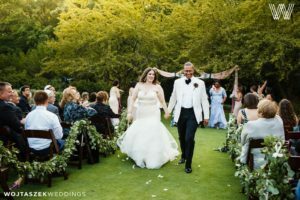 Every part of this celebration was memorable and we are so happy this couple got the wedding of their dreams! Congrats Sonja & Michael! It was nothing but clear skies down the shore for Jennifer & Max’s absolutely beautiful wedding day. Our ladies & gents got ready at the Stockton Seaview Hotel & Golf Club before sharing a romantic first look captured by Portraits by the Bay. They took some time for photos with their bridal party and families before hiding away. The couple enjoyed a touching outdoor ceremony before everyone headed in to a delicious cocktail hour. 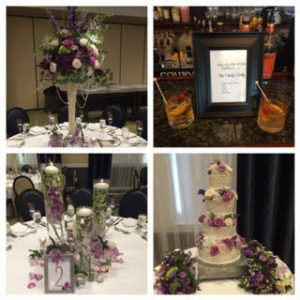 The ballroom was transformed with florals from Betina’s at Parkview. After everyone enjoyed a delicious dinner, which included 3 kinds of macaroni and cheese, it was time to party! This was a superfun crowd and the dance floor was packed with the help of Centerstage Entertainment. Congratulations Jennifer & Max!